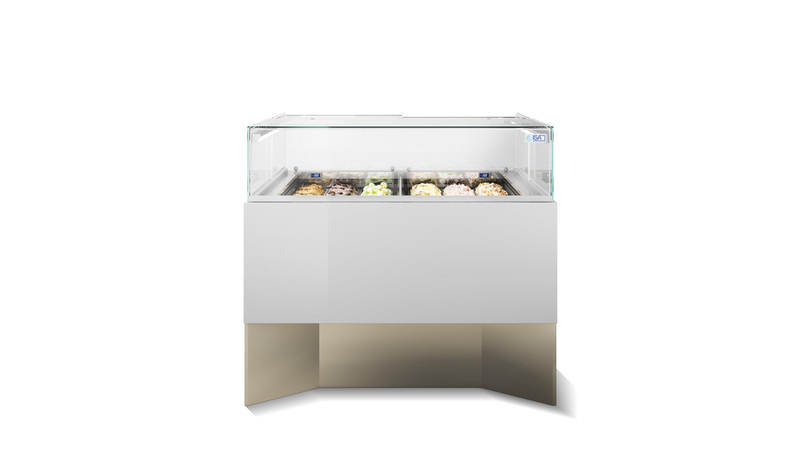 The only professional display cabinet with two 5 lt. tray rows in just 80 cm of depth. 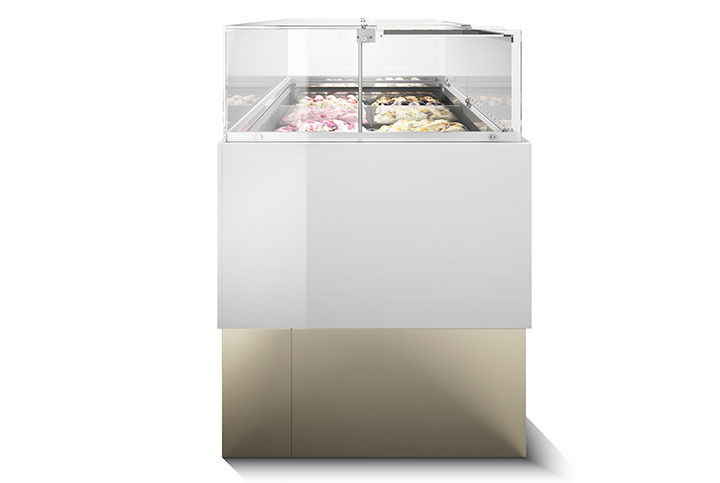 that enables minimizing the depth space, in order to achieve this result. 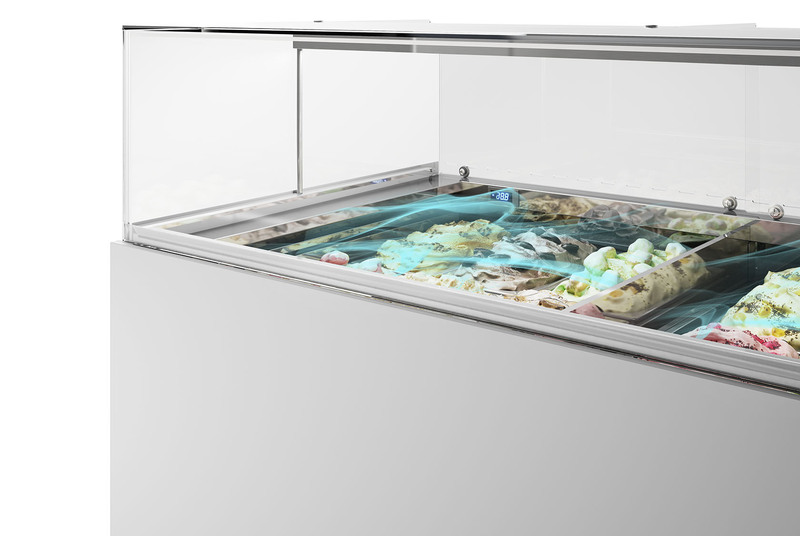 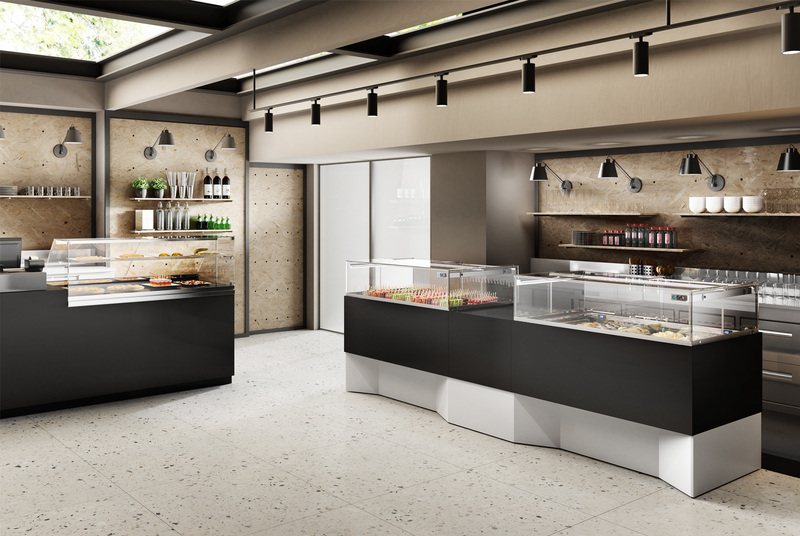 This patented technology makes it possible to differentiate temperatures – with 6 or 4 tray units – to preserve and display ice creams with various consistencies.